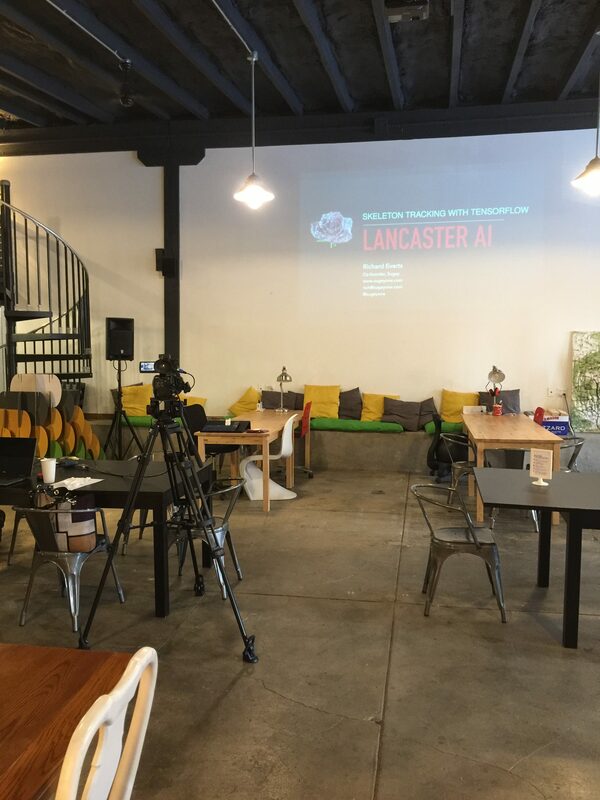 Thanks to everyone that came out for the May 2018 Lancaster AI meetup! We had a great talk by Richard Everts on Skeleton Tracking with Tensorflow.js and OpenPose. The demo was a little challenging with the OBS streaming running at the same time, but we eventually got it to work well! Special thanks to Dan Oved’s blog post on the Tensorflow.js implementation. Thank you to our sponsor Sugey, as well as the Candy Factory for hosting the event. The live stream seemed to go great! See below for the videos, and we’ll see you again on June 26th. We’re looking for speakers, so contact us if you’d like to speak or have a topic.